This eye-catching campaign, covered extensively across the media, saw ZSL London Zoo share a selection of x-ray images taken during routine health checks of its 18,000 animals. The simple but effective idea – which caught the imagination of children and adults alike - was to promote the Vets in Action event, where kids could join the zoo’s vet team as part of half-term activity. As always, social and traditional media was awash with Valentines-themed campaigns this month, but this one stood out above the run-of-the-mill stunts and gimmicks. 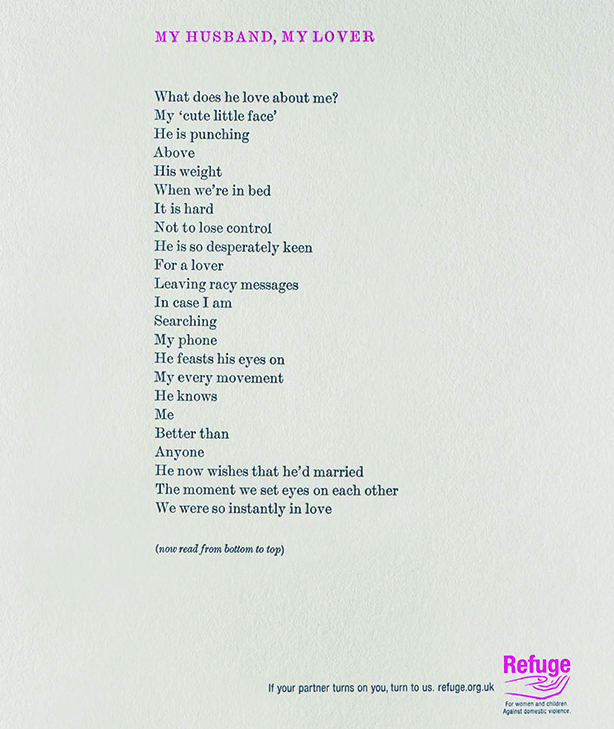 Refuge, the charity that supports victims of domestic abuse, published a reversible poem (above) – created by McCann Bristol – to highlight domestic violence. Read one way, the poem tells the story of a whirlwind romance, but when read in reverse, it depicts the insidious nature of domestic violence. Pizza Express takes out this year’s top Valentine’s Day stunt by treating young couple Maddie Jones and Alex Sung to spontaneously tie the knot at one of its restaurants in London. The couple had been put forward by best friend Natasha Killip in an exclusive all-expenses-paid wedding experience, complete with 30 family and friends, confetti cannons, sparklers, a live jazz band and even a giant Dough Ball Heart shaped wedding cake comprised of 850 little round balls of goodness. McDonald’s Big Mac Bacon caused a rift in the Redknapp family in this viral sensation that the fast food company said was its most successful UK influencer campaign. The viral video starred Harry and son Jamie on their way to a drive thru arguing about whether a Big Mac with bacon is still a Big Mac. 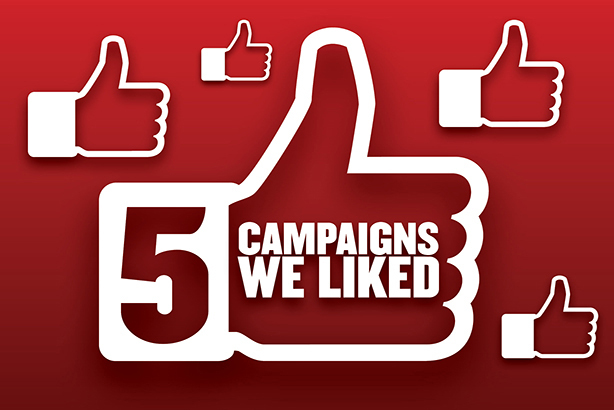 PR on the campaign was handled by Red Consultancy. The one-minute film achieved two million organic views in the first 48 hours, and a completion rate of 32 per cent. It also generated more than 200 pieces of national media coverage already and 500,000 social engagements.